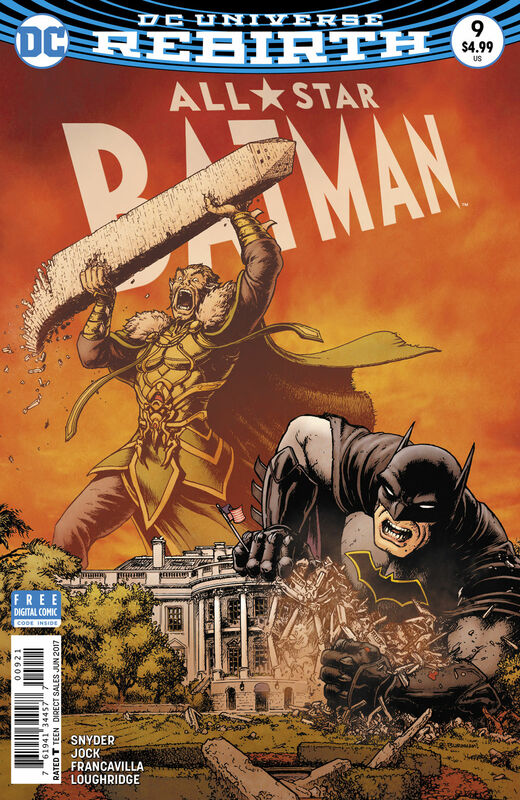 With some awesome twists, great action and gorgeous artwork, All-Star Batman #9 concludes 'The Ends of the Earth' story arc with a satisfying bang. 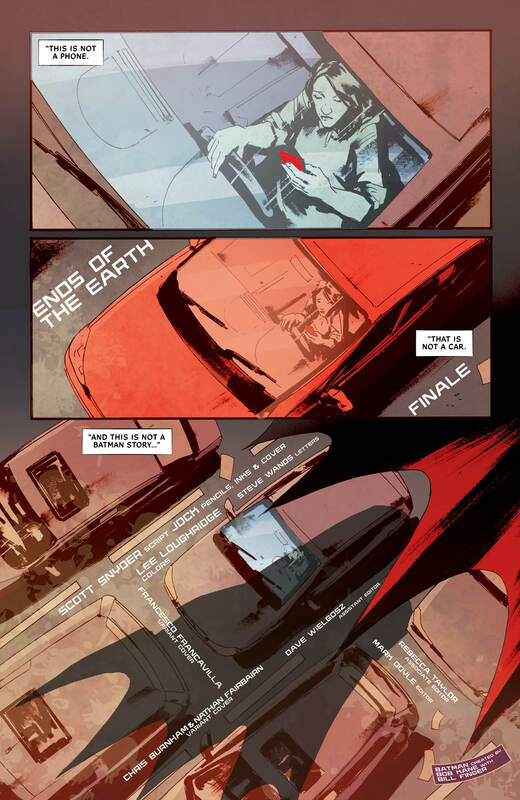 All-Star Batman‘s current arc, ‘The Ends of the Earth,’ has served up three equally high-quality issues these past few months. While they were mostly standalone, there was a growing threat that the Dark Knight was trying to get to the bottom of. In this month’s ‘The Ends of the Earth: Finale,’ he finally does. So, does the issue live up to its preceding parts? Come on, you should already know the answer to that. While it’s not my favourite outing of this arc, it still wraps it up with finesse. The first thing to mention about this issue is its breakneck pace. 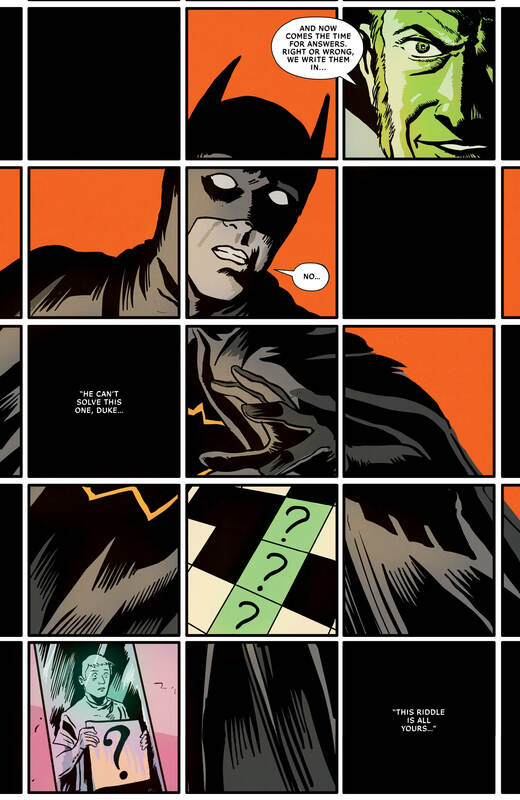 The central premise is that Batman only has nineteen minutes in which to locate his mysterious enemy and defeat him, before his sidekick Duke Thomas ends up with a bullet in his brain. 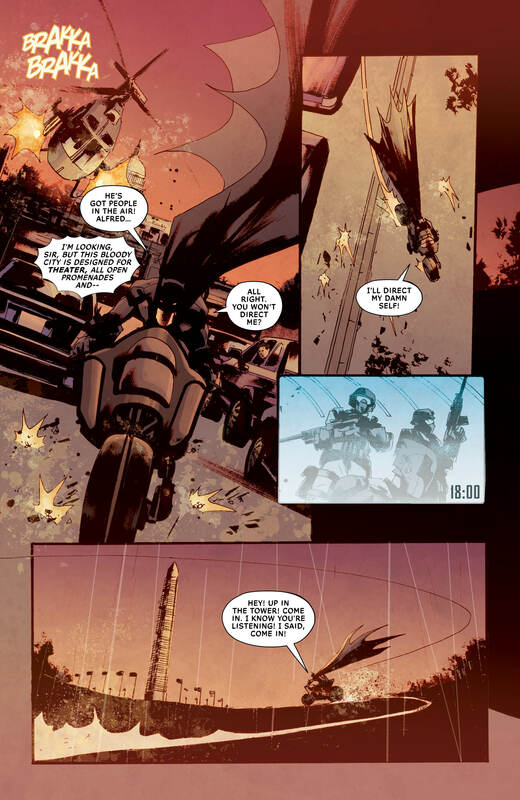 This is the sort of high-octane situation in which Batman thrives and it’s a joy for fans to see the character pushed to the brink but, as he always does, somehow manage to still be one step ahead and make it through (oh, come on, that’s not a spoiler – have you never read a comic book before?). 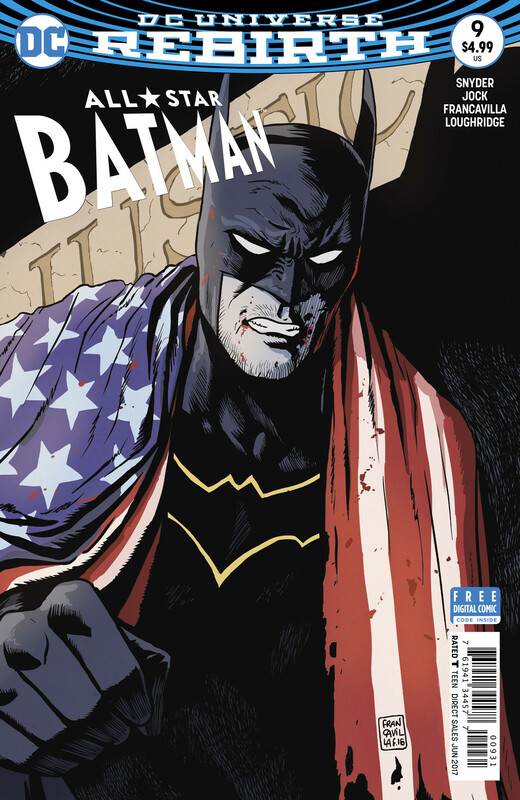 Still, writer Scott Snyder is too clever to make this simply an all-out action tale – though there are some tense action scenes scattered throughout. 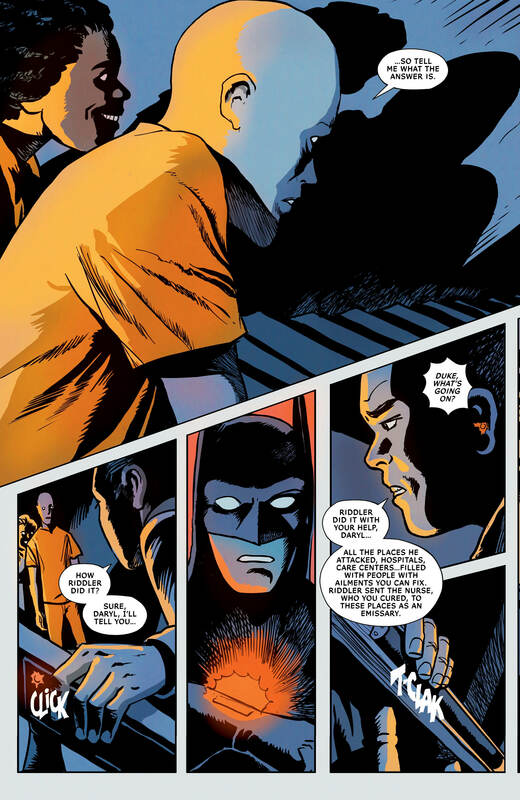 The true highlight of All-Star Batman is how Snyder is able to get to the heart of each of the revolving door of villains and examine in them in a way that gives them some texture and nuance. 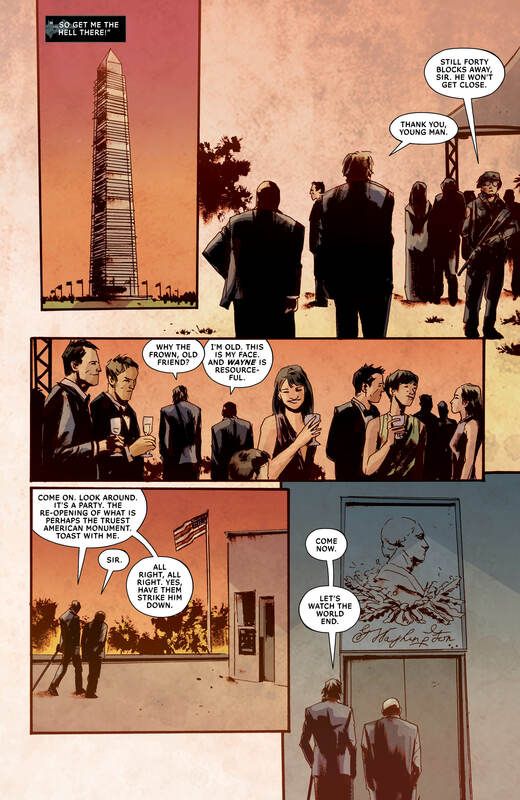 This finale issue is no different and the big bad – we won’t reveal who it is, don’t worry – is given the same treatment. We learn that to this character, Batman is the villain. This particular antagonist believes that they’re the one on a noble quest for the world’s own good, just as Batman himself believes. Just like its villains, All-Star Batman also sports a whole host of different artists, and this month it falls back to Jock to take up the pencil. Just as he did back in issue #6, when he kicked off ‘The Ends of the Earth’ arc, Jock does a terrific job here. 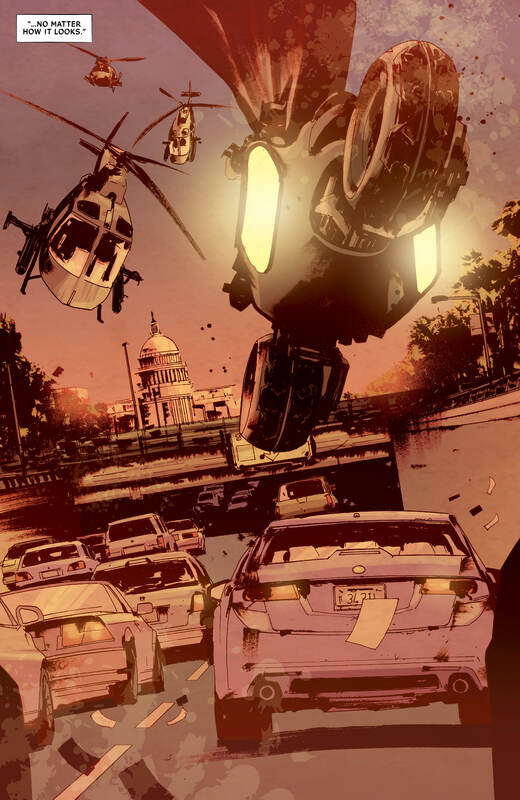 This issue’s setting – Washington, DC – is not as immediately evocative as #6’s Alaskan wastelands, but the artist shines in the area of the action instead. 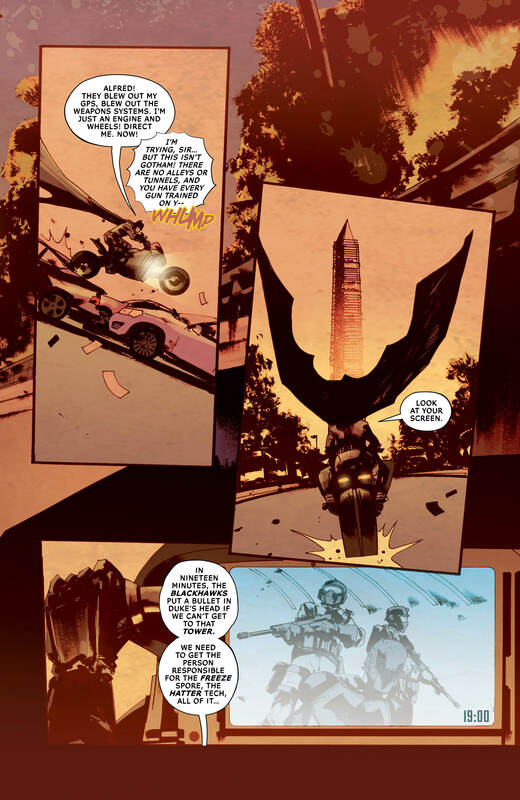 The early splash page of Batman riding his motorcycle through crowded streets, with the U.S. Capitol building behind him, is poster-worthy. Lee Loughridge’s washed-out colours deserve a mention too, as he does a beautiful job of capturing the passage of time through the sky alone, as it gradually changes from a pinky-orange to a dark blue across the issue. 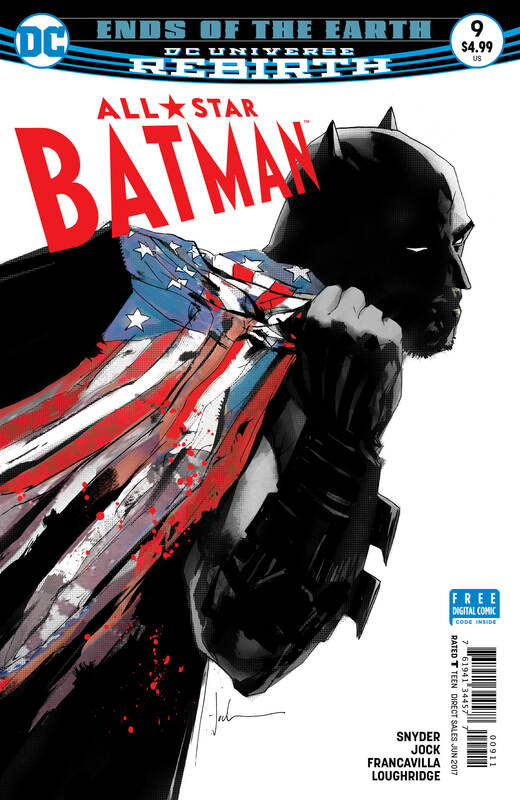 With some awesome twists, great action and artwork, All-Star Batman #9 continues the strong run of form that Snyder and his team are on with this book. Likewise, there’s yet another layered depiction of one of Batman’s biggest villains to enjoy. However, in the end, the heart of the tale is how the Dark Knight triumphs over adversity every time. 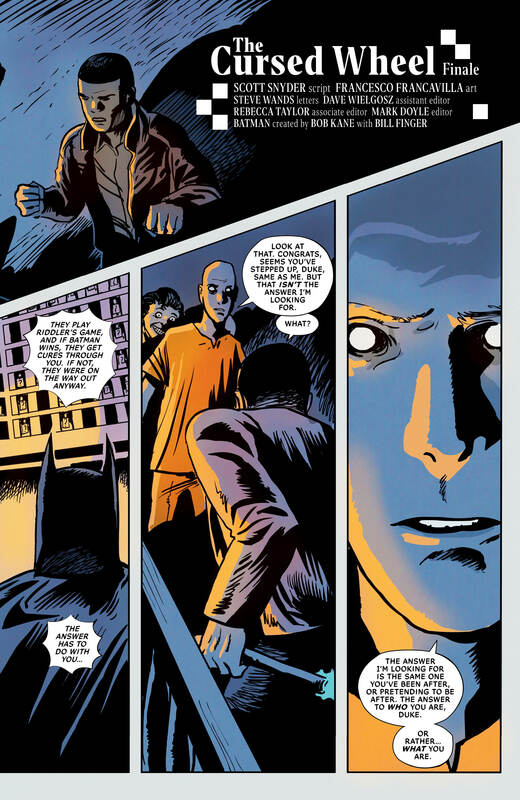 This is Batman’s story – no matter how it looks.